All NEMA 6 devices are three-wire grounding devices (hot-hot-ground) used for 208 and 240 V circuits and rated for 250 V maximum, with the 6-15, 6-20 and 6-30 being grounding versions of the 2-15, 2-20 and 2-30, respectively. The 6-15 resembles the 5-15, but with collinear horizontal pins, spaced 23/32 in (18.256 mm) center-to-center. The 20 A plug has a blade rotated 90C, and the 6-20R receptacle may have a T-shaped hole, to accept both 6-15P and 6-20P plugs. 6-15R and 6-20R receptacles are usually manufactured on the same assembly line as "Industrial" or "Commercial" grade 5-15R and 5-20R receptacles, with all 4 receptacles sharing the same "triple wipe" T contacts behind the varying faceplates. The faceplate bonded onto the receptacle determines the final configuration of the receptacle. The 30 A plug and socket look similar to the 15 A one but larger. 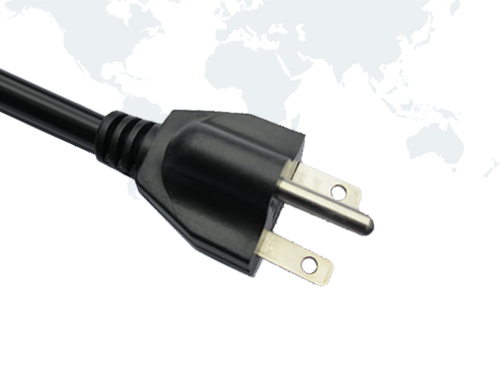 The higher-current versions are rare, with twist-locking plugs such as L6-30 or direct wiring more common. Generally 6-series non-locking plugs are used for such appliances as large room air conditioners, commercial kitchen equipment, and the occasional home arc welder. Single-phase 6-50 is commonly used on farms for silo unloaders, and is used with a 6-gauge flexible power cord up to 200 ft (61 m) long. Some manufacturers of electric vehicle charging stations equip their 30-40 A Level 2 EVSEs with a 6-50 plug on a short cord, though it is becoming less common, with manufacturers now favoring the more common 14-50 plug. NEMA 6 devices, while specified as 250 V, may be used for either 208 or 240 V circuits, generally depending on whether the building has a three-phase or split-phase power supply, respectively. The NEMA 6-20R or 6-30R found in many hotel rooms is typically supplied with three-phase 208 V.